The new 716 Titleist AP1 and AP2 irons are precisely engineered with industry-leading amounts of high density tungsten to deliver the best combination of low CG and high MOI in their respective categories for distance, forgiveness and shot-stopping control. “AP1 and AP2 irons are designed for two distinct player profiles. AP1 is for players seeking maximum distance and forgiveness. AP2 is for players seeking distance and forgiveness in a tour-proven iron,” said Chris McGinley, Vice President, Titleist Golf Club Marketing. The 716 AP1 is the longest, most forgiving Titleist iron ever, designed for golfers seeking maximum distance and maximum forgiveness. A 360º Undercut Cavity results in a large, thin, unsupported face area, that flexes more at impact for increased ball speed. High Density Tungsten, placed in the long and mid irons, produces a lower centre of gravity (CG) for a higher launch angle. The forgiving High-MOI design – with 50 percent more tungsten than prior generation 714,– maximises heel and toe stability without increasing AP1’s preferred blade length, while producing higher ball speeds across the face for more consistent distance on off-centre hits. The 716 AP2 is Titleist’s most advanced players’ iron, made even better, delivering tour-proven distance with forgiveness and solid forged feel. High Density Tungsten weighting creates a Low CG that is perfectly aligned at impact to increase speed and distance. The forgiving High-MOI design –, with 25 percent more tungsten than prior generation 714 – drives higher ball speeds across the face for more consistent distance on off-centre hits at a tour-preferred blade length. AP2’s innovative construction combines a forged 1025 Carbon steel body with tungsten weighting in the long and mid irons producing low CG and high MOI with Solid Forged Feel. 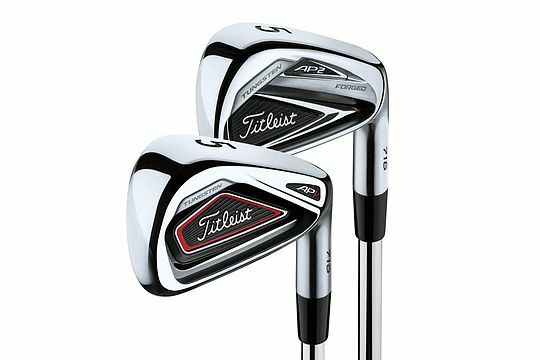 The new Titleist 716 AP1 and AP2 irons will be available in Australian golf shops beginning Oct. 26.